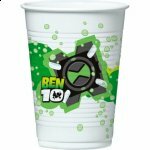 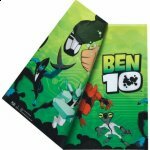 20 x Ben 10 Disposable Party Napkins 20 x Ben 10 napkins is guaranteed to impress litt..
6 x Ben 10 Party Loot Bags Fill these cool Ben 10 party bags with treats to compl..
8 x Ben 10 Party Plates Boys will love these Ben 10 Party Plates. 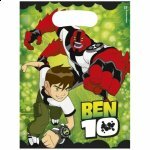 Perfect for a special occass..
Ben 10 Plastic Table Cover. 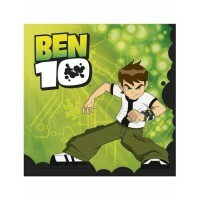 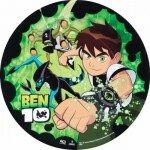 This colourful Ben 10 table cover is perfect for boys' ..